The National leadership of the All Progressives Congress (APC) has lifted the suspension placed on the senator representing Kaduna Central senatorial district, Shehu Sani. 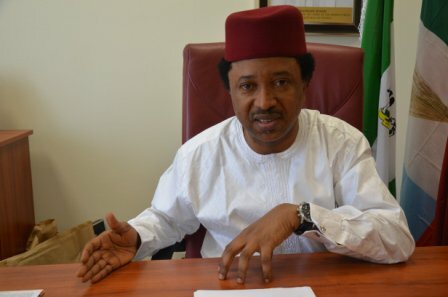 In a statement signed by its Acting National Publicity Secretary, Yekini Nabena, the APC said, “The National Secretariat has received the news of the suspension of Senator Shehu Sani by the Tudun Wada ward Chairman and wishes to clarify that the purported suspension of distinguished Senator Shehu Sani representing Kaduna Central Senatorial District is hereby lifted and he is confirmed as a bonafide member and leader of our party”. The party, therefore, directed its chairman in Tudun Wada ward and others to implement the directive in order to restore peace in the party. The Chairman of the Tudun-Wada ward, Ibrahim Salisu Togo, had announced senator Sani’s suspension in a statement dated July 31, 2018. According to him, the decision to suspend him indefinitely was based on the constitution of the party. “In all fairness to the party and Kaduna State voters, the only pre-condition for lining this suspension on Senator Shehu Sani is for the lawmaker to openly apologize to the leadership of our great party for his various acts of misconduct and disrespectful attitudes towards both his constituents, party leadership and his vicious media attacks against our amiable President, Muhammadu Buhari,” the statement read in part.